First off, I love the shape of the bottles. Thin, sleek and easy to store in the shower. That being said, the hole of this shampoo bottle was NOT big enough! It took way too much effort to squeeze out product. Though you do need very little to create a nice lather, it was a bit inconvenient. I ended up taking some pliers to the spout and created a bigger hole. Though it doesn’t click shut like usual, the cap didn't leak when it’s standing up. Fragrance, texture and cleaning power are all top notch. 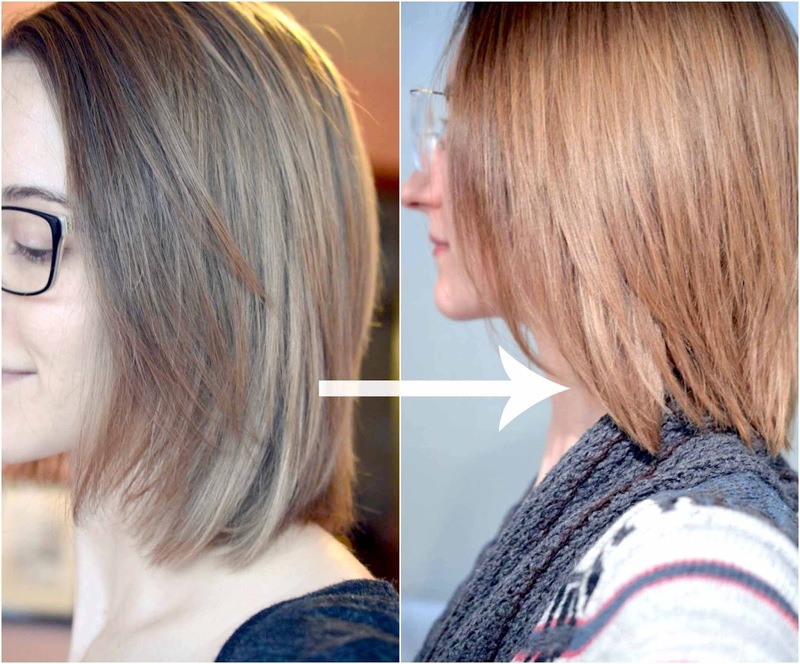 My hair colour is rendered more vibrant and highlights are preserved. I wash my hair daily so over time (1 month) if used alone I’m sure you’d see noticeable results. I really like this conditioner. 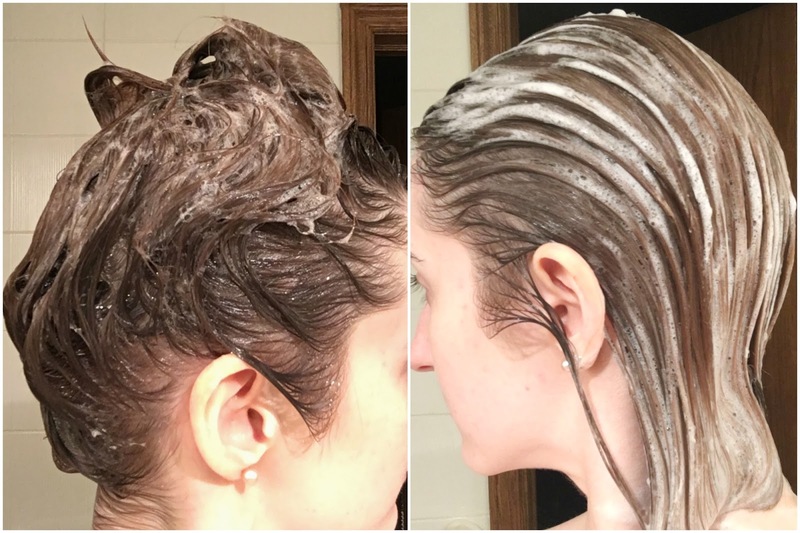 It’s super easy to use and pairs perfectly with the shampoo. My fine hair doesn’t feel weighed down, and the scent is attractive and light. Thumbs up! Given the advanced packaging of this two-tubes-in-one treatment cream, I was expecting an immediate and significant change in my shade of blonde. I got out of the shower, cracked open the single-use tube and began to squeeze. One liquid is a lot thinner than the other, so I found it difficult to get an even amount of product from both sides. I didn't use the whole thing up, since the first handful gave me a ton of suds - and the fumes made my eyes water like crazy. Weird. Flash forward 5 minutes, and this shampoo left my hair feeling a bit dry after rinsing it out. After a healthy dollop of the conditioner and blow drying, my hair became warmer, more of a golden vs. ashy blonde. I threw some tape around the two holes and finished the tube up a few days later. Overall I'm happy with the results, but not with the wastefulness and freezing 5 minutes that this process requires. I'm going to stick to my regular Sheer Blonde® Go Blonder Controlled Lightening Spray since it's a simple leave-in! As a long-time fan of the Sheer Blonde collection, this set didn't disappoint. 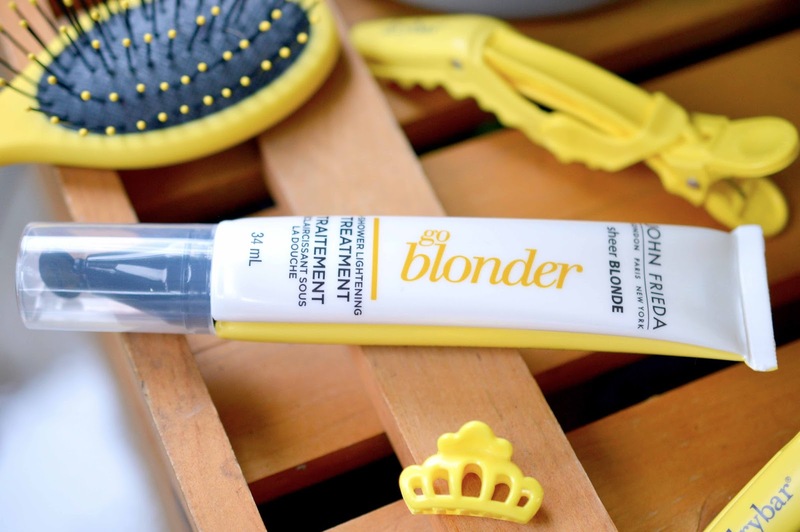 Have you ever tried John Frieda for your hair colour? Received from Glam Sense for an honest, unbiased review.